The Big Woods was an old growth forest region that once covered nearly 5,000 square miles of south-central Minnesota. Large red oak, sugar maple, elms, basswood, and white oak used to cover the landscape and offer refuge for hundreds and thousands of different wildlife species. Now nearly wiped out by fire and logging, Lake Maria State Park is one of the few places that still has remnants of Minnesota’s old growth forest. Established in 1963, Lake Maria offers hikers, trail runners, and backpackers 1,580-acres of wilderness playground. With 15 miles of hiking trails, this park is perfect for a day hike or a weekend-long escape from the bustling Twin Cities. Starting from the visitor center, there are four trail entry points to consider. If you are interested in learning about the cultural and natural history of Lake Maria, the half mile-long interpretive Forest Shadow Loop has informational displays all along the trail. 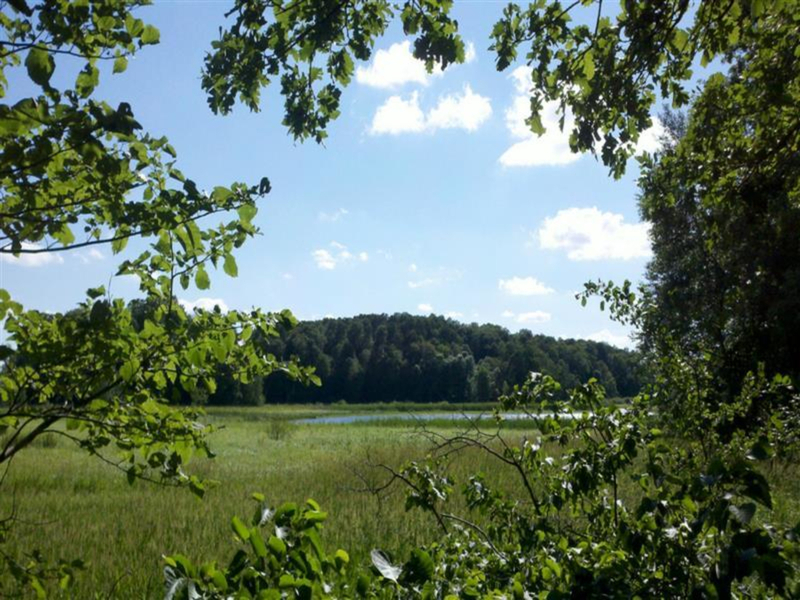 The most popular trail, the Bjorkland Lake Trail, is an easy 2-mile loop that leads you through meadows, forested canopies, and to a dock that overlooks the lake. A special inhabitant of the lake is the threatened Blandings’ turtle, whom finds its home in the park’s wetlands. Look out for turtle crossing signs near the picnic area and keep a keen eye on fallen logs and rocks found in the wetlands adjacent to the lake. You may be lucky enough to spot the elusive Blandings’ turtle. 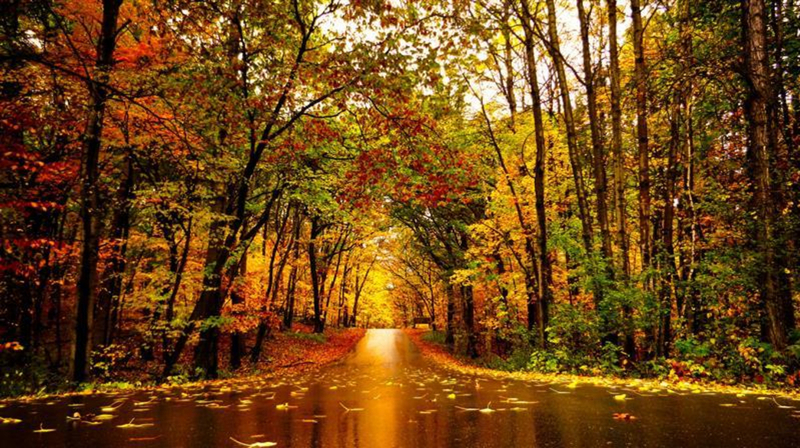 The best time to come to Lake Maria is during the fall because the forest bursts into a blanket of yellow leaves. Along the 5.5-mile Big Woods Loop, towering oak and sugar maples encircle the trail, giving it a golden glow. Try not straining your neck too much or stubbing a toe while walking underneath the distractingly beautiful yellow canopy above. When the leaves fall, the whole trail is carpeted in a crunchy golden brown. It is fun to walk through rustling leaves, but be mindful that the leaves may hide deep horse tracks, exposed roots, and unsuspecting rocks. There is a wide variety of wildlife found in the park. While in the woodland marshes, look for beaver activity and turn over rocks to find salamanders. Often while hiking in the glacial moraine, look for foxholes within the oak knolls. In the Big Woods, listen for rustling tall grass because you may have interrupted a sunbathing Gardner snake. In regards to birds, Lake Maria State Park’s old growth is exceptionally important for migrating birds. Throughout the year, over 200 bird species seek refuge in the tree canopies or peaceful marshlands. For birdwatchers, don’t forget your binoculars at home! If you’re interested in camping, the daily rate ranges from $12-$30 and includes 22 different campsites ranging from rustic to glamorous yurts. 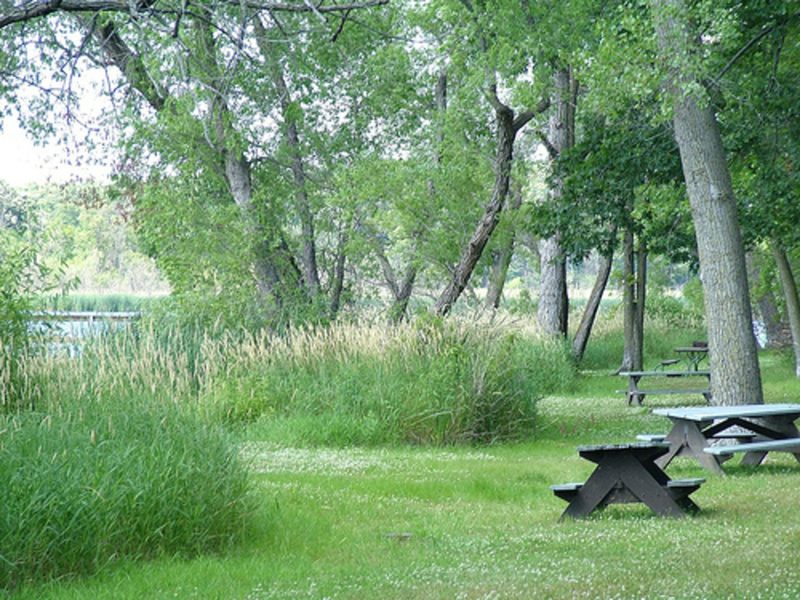 Most only half a mile away from the visitor center, each site has facilities, such as a restroom, picnic table, and fire pit. Also, most sites are nestled by small lakes and ponds, which offer great views for early morning risers. Hikers wanting to see some beautiful old growth forest will love the trails at Lake Maria State Park. The park office is open Friday to Monday from 10 a.m. to 4 p.m. There is available parking at the main parking lot and at designated campsites.